by Rev T. C. B. Boon, B.A. December 22nd, 1850, has recently become a date of greater significance to the Anglican Church in Canada than it was originally. It has long been important, because on it Bishop David Anderson of Rupert's Land ordained Henry Budd, Deacon in old St. Andrew's Church on the Red River, and this was the first time that a native Indian was admitted to the ministry of the Church in Western Canada. Recent research has now shown that the ordination of Henry Budd was not only the first of its kind in Western Canada, but that he was the first native Indian to be ordained in the Anglican Communion on the North American Continent. There is no record of any such ordination in any of the older Dioceses of Eastern Canada prior to 1851, or in the Protestant Episcopal Church of the U.S.A. The ordination of Enamaghbouk, an Ottawa by birth but adopted by the Chippewas, by Jackson Kemper, Missionary Bishop of the Northwest did not occur until July 3, 1859. Enamaghbouk was given the English name of John Johnson but is better known by his Indian name. Henry Budd was the second of the two boys secured by the Rev. John West on his journey to the Red River in 1820 with a view to their Christian education. Mr. West says that Henry Budd came from old Norway House at the north end of Lake Winnipeg and that he was told that the boy was the orphan son of a deceased Indian and a woman of mixed blood. 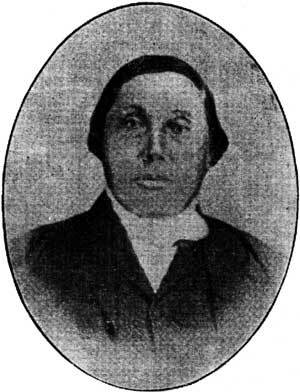 He was baptised by Mr. West on July 21st, 1822, on the occasion of the opening of the first 'schoolhouse church' in the Red River Settlement and given the name of the Rector of White Rothing, Essex, where Mr. West served his own first curacy; at that time Henry was described as being about ten years old, capable of reading the New Testament and able to repeat the Church of England Catechism correctly. Apparently Henry Budd was a bright and capable boy, for after he left the Church Missionary Society school he was for some years in the service of the Hudson's Bay Company, and then in 1837 he was asked by Mr. Jones and Mr. Cockran to take charge of the Day School at the old Upper Church. About this time discussions began between the C.M.S. and the Company regarding the extension of mission work beyond the Red River Valley, but apart from sending the Rev. John Smithurst to the Indian Settlement in 1839, the C.M.S., hampered at the time by lack of men and money, was not able to undertake any extension of its work; this, however, did not prevent Henry Budd being sent (in the summer of 1840) to Cumberland House to establish a new mission there, which shortly after was permanently located at The Pas some distance down the river to the east. Within two months he had gathered a Sunday group of 35 persons, 24 of whom were children, and when the Rev. John Smithhurst visited The Pas in 1842 he was able to baptise 38 adults and 44 children. Sacred to the Memory of the Rev. Henry Budd, who died April 2, 1875, aged 61 years. Named after one of the founders of the C.M.S. The first Indian Convert and clergyman in Rupert's Land. An earnest and faithful Minister of the Gospel for 25 years. Beloved by the flock over which he was pastor. "They that turn many to righteousness shall shine as the stars for ever and ever." Daniel XII,3. Source: R. J. Taylor, The Pas, Manitoba. The ordination of both Henry Budd and James Settee was strongly recommended by the C.M.S. to Bishop David Anderson before he left England for Rupert's Land in 1849, and in them is surely found the answer to John West's prayer that the boys he educated might be raised up as heralds of God's salvation "in this truly benighted and barbarous world." Henry Budd was an eloquent speaker in both English and Cree and a most capable organizer of all sides of the mission work he undertook; he devoted his life to the Cumberland House district of the Saskatchewan River, and there his name is still treasured. 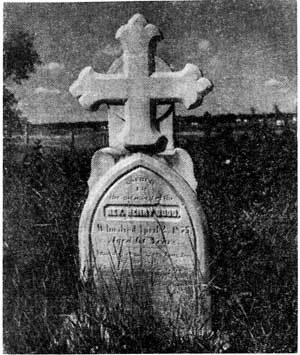 He died on April 2nd, 1875, a few days after he had taken the Easter Services.